Attentive film fans might have spotted the teaser clips for the upcoming Indonesian action mayhem The Raid, which created quite a buzz over the past months. The clips showed furious martial arts choreography and violent action in an interesting setting. Meanwhile, US producers hopped onto the train, what leads to some consequences. Firstly, The Raid got a slight name change to The Raid: Redemption and secondly, it will feature a completely new soundtrack. That will be created by Linkin Park's and Fort Minor's Mike Shinoda. Obviously, there are hopes here that this step will gain somewhat more mainstream appeal for the bloodthirsty concept of 20 elite cops wanting to arrest a crime boss and having to face 30 stories filled with brutal gangsters in the process. 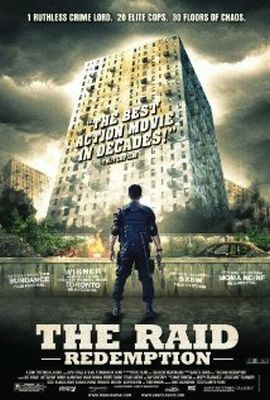 By the way: like it was done before with other successful foreign productions (such a [REC] or The Girl with the Dragon Tattoo), producers in the US seem to feel the urge to remake The Raid, as well. Currently, this is announced for 2014.